The mysterious Kacang Pool, or Medammas Foul by Kimball or kacang parang or kacang tolo. 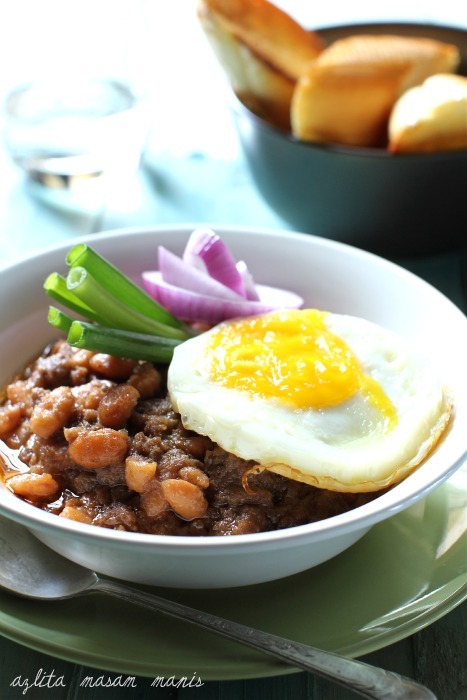 First, is kacang pool the same with kacang tolo for the Johorian Java? I'm a Johorian yet I've never eaten the famous kacang pool, at least, it is famous to a few of my friends who are not Johorian. They insist that as a special dish from Singapore and Johor that I must know about. Well... u tell me. So recently, my adamant friend brought me to Tirai Ratos, Section 3 Shah Alam to try kacang pool. Sadly, she discovered that the dish is too spicy (more like bariyani spices), too much minced meat, lacking of the kacang pool itself. The bread was thick and delicious though. I'd have to admit that she succeeded in arousing my curiosity, enough to make me want to research and experiment on the recipes. There are a few online recipes. First is gathered from a Planta recipe book. 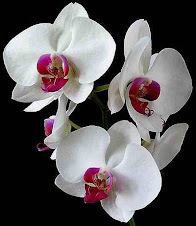 The website is beautifully decorate with artistic photos. You should try to go to this site http://www.azlitamasammanis.com. However, I doubt the big portion of onion and garlic and meat being suggested here, meaning I'd surely reduce them. As what I've tasted recently, the serving was more like a spaghetti sauce!! However I'd like to use the spices here, coz ketumbar and jintan are the spices for satay as well. Compared to the second recipe which suggested curry powder...I think the ketumbar-jintan will enhance the flavour of meat and kacang pool without being too strong like curry powder. 150 g black eyed nut/ kacang tolo jawa cakap, soaked overnight or minimum 4 hours, boil till soft... could take 2 hours. I used pressure cooker, 30 min on high meat setting, 1 portion of nut: 3 portion of water. 3. on small flame, the meat lets out its juice..cooking the meat in about 5 minutes, but if the flame is too strong, the juice evaporates too fast to cook the meat. In this case, add a little bit of water. Tambahkan sedikit air dan masak hingga kuah sedikit pekat.